Startups and scaleups have become an important force in our economy and more and more people are involved in building, mentoring, servicing and growing them. As more people get involved they often ask me how I define a startup and a scaleup. This post is meant to help you understand what a startup and what a scaleup is. Searching the internet you will however find many more definitions. temporary organisation: this could mean a new company (as it is most commonly referred to) but this could be any group of people searching for that business model. Inside or outside an existing organisation, whether it be for profit or not for profit. search: yes, you search for the business model. Existing organisations (and scaleups) execute a known business model and a startup is still searching for it. Most often this search is performed under conditions of extreme uncertainty (as Eric Ries includes in his definition of a startup). This implies you cannot use traditional business management tools to guide you through this search. However, the best startups perform this search in a disciplined way, using Eric Ries’ Lean Startup methodology or Steve Blank’s Customer Development process. business model: the business model describes the rationale of how an organization creates, delivers and captures value. In plain english: how you make money in a sustainable way. repeatable and scaleable: this is key as it has to do with ambition. You’re not a startup without a big ambition and you can only grow quickly and grow big if you have a repeatable and scalable business. It is very hard to turn a hourly rate based consultancy into a big business as you need a lot of people. It’s easier to mass manufacture a product and distribute it using large and established retail channels. And it’s even easier to sell digital products online that have a close to zero marginal cost. That all has to do with a repeatable and scalable business model. Side note: I use the word easy, but in startup life nothing comes easy. Also: if you don’t want to grow big, you’re still an entrepreneur (likely building a lifestyle business) but you’re not a startup in my definition. 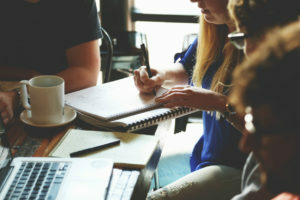 Scaleups are most commonly defined as “enterprises with average annualised growth in employees or turnover greater than 20 per cent a year over a three-year period, and with 10 or more employees at the beginning of the observation period”. This definition is also used by the OECD, Nesta, World Economic Forum, EY and Endeavour and RSM (in Dutch). The companies or entrepreneurs are also called “High Growth Enterprises” or “High Impact Entrepreneurs”. While some definitions add that a minimum revenue of € 5 million is required at the beginning of the three year period, in practice I see lower amounts before organisations transition from startup to scaleup. Need validation: the first thing you need is your value proposition. 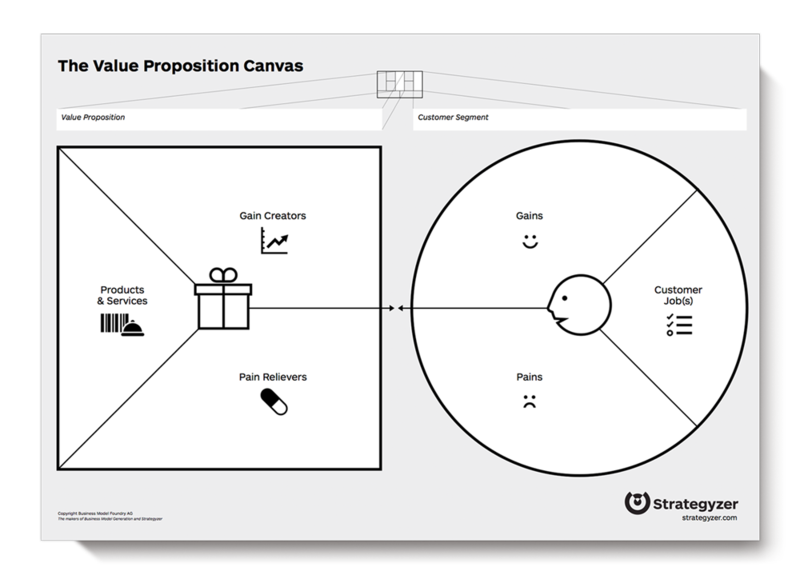 Above you see the value proposition canvas. Your customer ‘needs’ are included in the circle and include the pains, the gains and the jobs they need to get done. The first step is to validate these. Normally done by interviewing your customers. Problem-solution fit: you achieve problem-solution fit if you design a value proposition that, on paper, matches the customer pains, gains and jobs sufficiently to be unique in the market. At this stage you have achieved fit if you have pre-orders or Letters of Intent (LoI) to purchase your solution. Note that there is no need yet to actually build your product at this stage (although it helps to show a prototype in some cases). Product-market fit: this phase of the search takes a while. Here you prove that there is real demand in the market and have the strongest possible evidence that your value proposition resonates with customers. They now actually pay for your product (=money in the bank). Ideally this is done before first series production starts, for example through crowdfunding. Business model fit: you have achieved business model fit if you prove that you can build a sustainable business (are profit making, or: break even in case of a not-for profit). You have figured out a supply chain that is able to scale at reasonable costs and have distribution channels that leave you sufficient margin to operate at a profit. 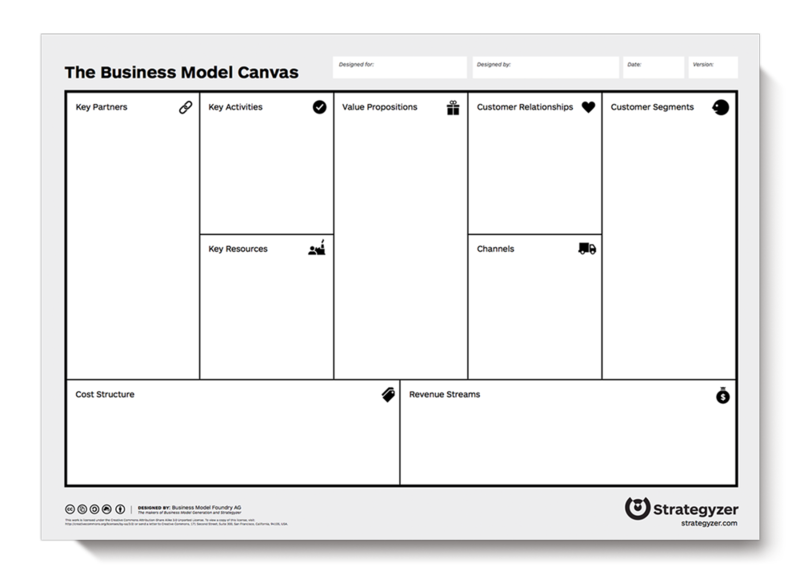 See below the business model canvas that describes the full business model. In practice I see that an organisation transitions from startup to scaleup after achieving an annual revenue of about € 2 to € 3 million. This is the amount of revenue you need to prove your business model fit. In terms of funding, startups went through phases of bootstrapped funding, grants, early stage loans, seed funding and most often at least Series A before they achieve the status of a scaleup.